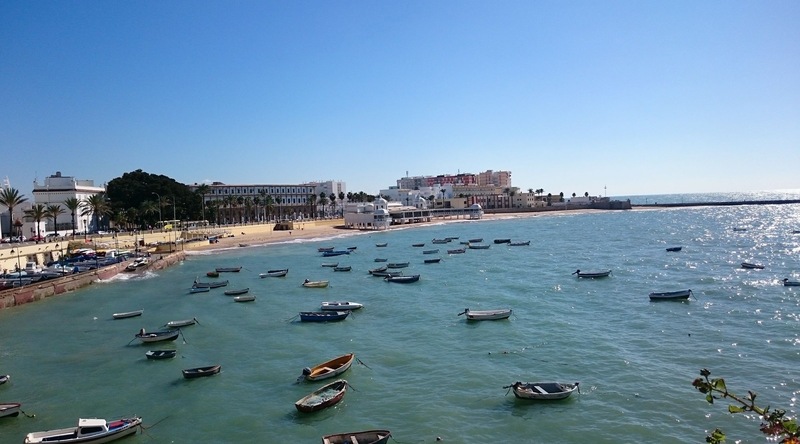 Cádiz, the oldest continuously inhabited city in Spain, is found on the southwest coast of Andalucía. 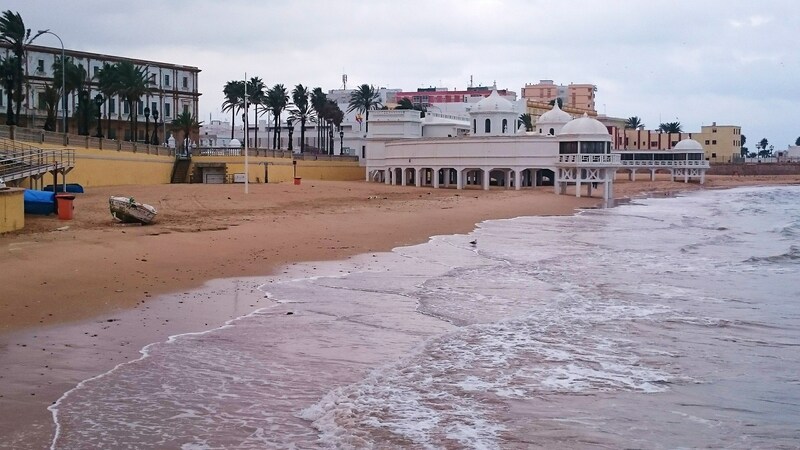 What to do: On my first day in Cádiz I went to explore the beaches, heading for Playa de la Victoria. I reached the edge of Playa de Santa María del Mar but decided not to go any further. It was only later I found Playa de la Caleta at the other end of the old town. This is one of my favourite beaches ever! 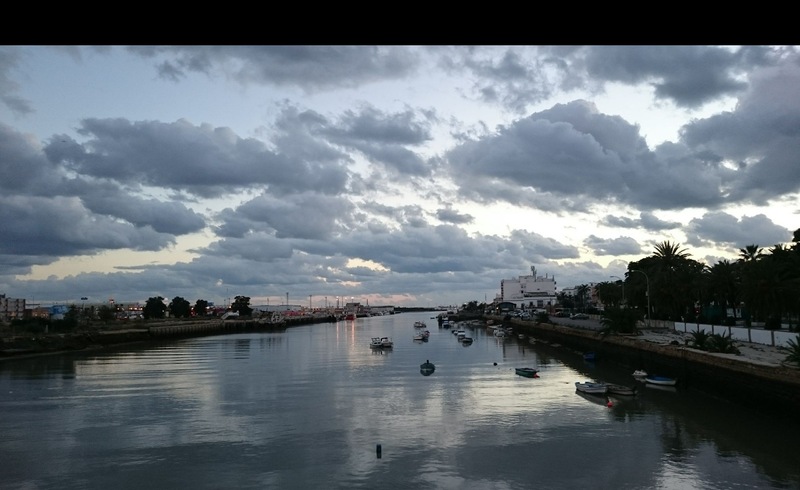 Though it is easy to walk around Cádiz I decided to hire a bike (from Urban Bike Cádiz on Marques de Valdeiñigo – big selection, reasonable prices and very helpful staff) to explore more. 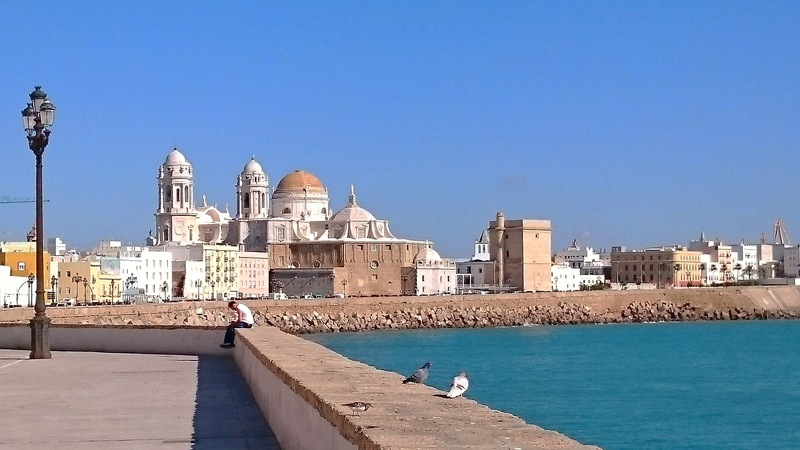 There are some bicycle paths around the edges of the old town starting at Plaza de España, skirting Cádiz’s two fortresses, passing Playa de la Caleta and coming back to town behind the cathedral. The path continues out to the end of Playa de la Victoria. It is easy to cycle in the narrow streets of the old town although many roads are pedestrianised and speedy scooters are common. 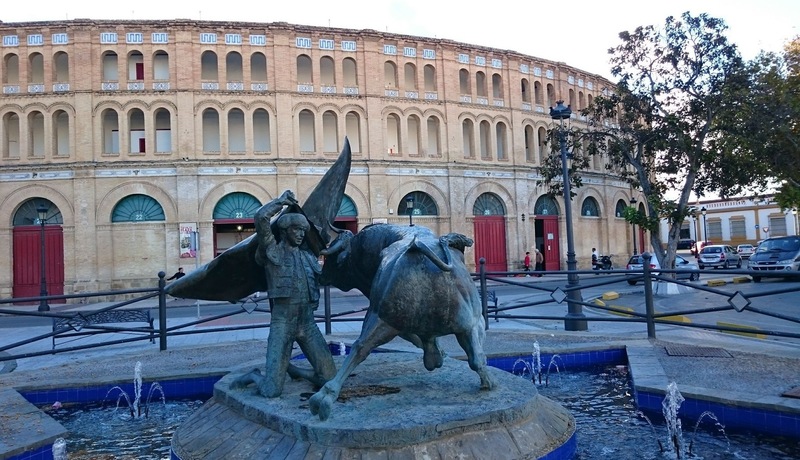 I also visited some other attractions in Cádiz. 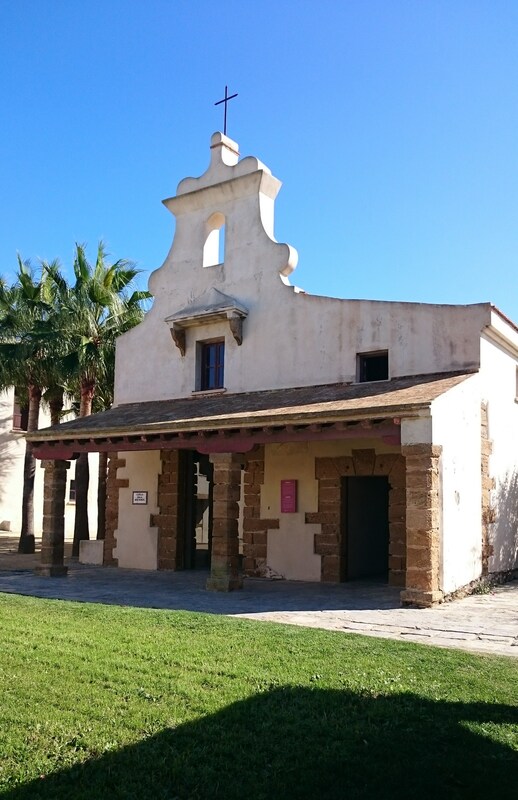 The Museo de Cádiz is an interesting space detailing the history of the town from the 5th century BC Phoenician rule to Roman culture to 20th century art by local Spaniards. There are exhibits of ceramics, paintings, puppets and other artifacts. 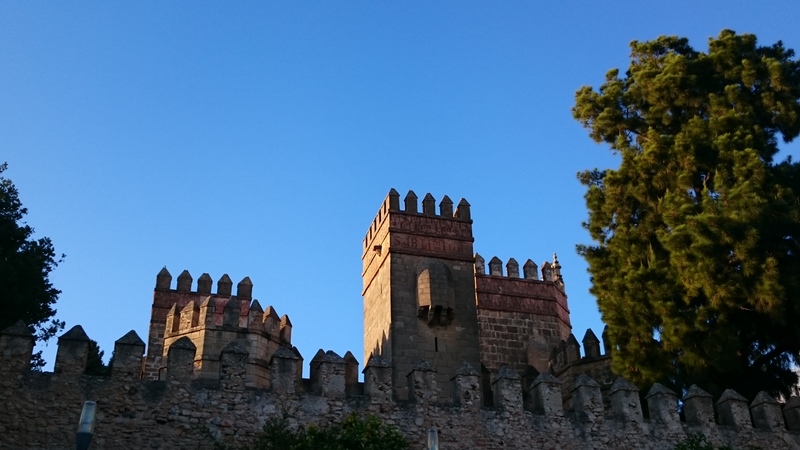 The Castillo de Santa Catalina built in the 16th century has a pentagonal design. 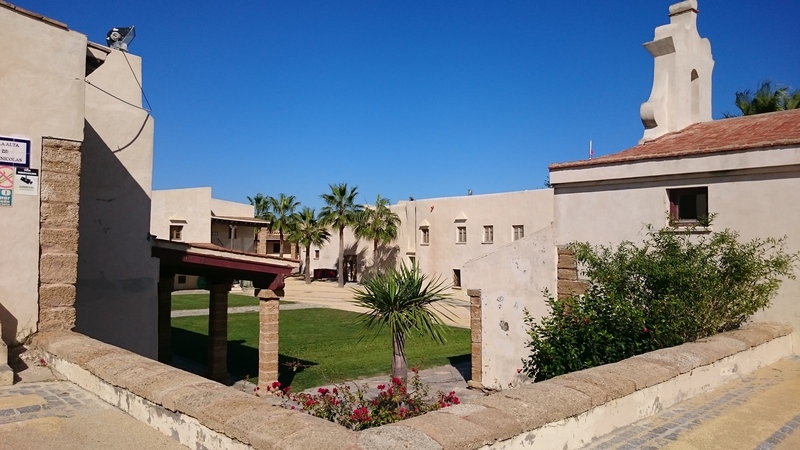 Inside there is a chapel, spaces for exhibitions and performances and stunning views of La Caleta. There is free entry. 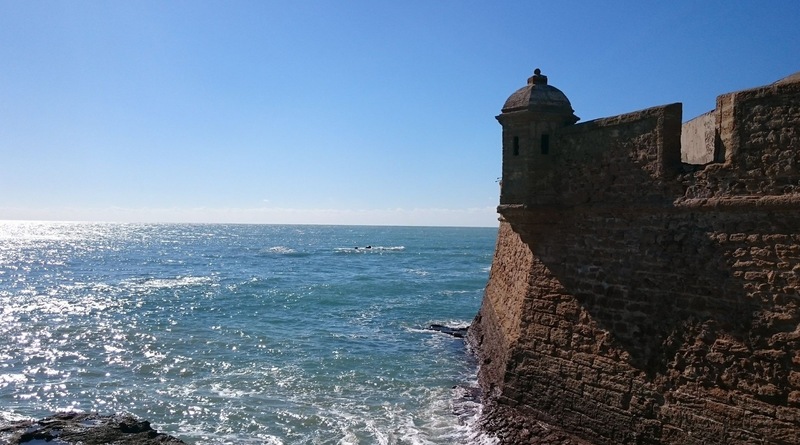 The Castillo de San Sebastián, at the other end of Playa de la Caleta, was constructed on an island in the early 18th century. A promenade, the Paseo Fernando Quiñones, was later built to connect the castle to the mainland. 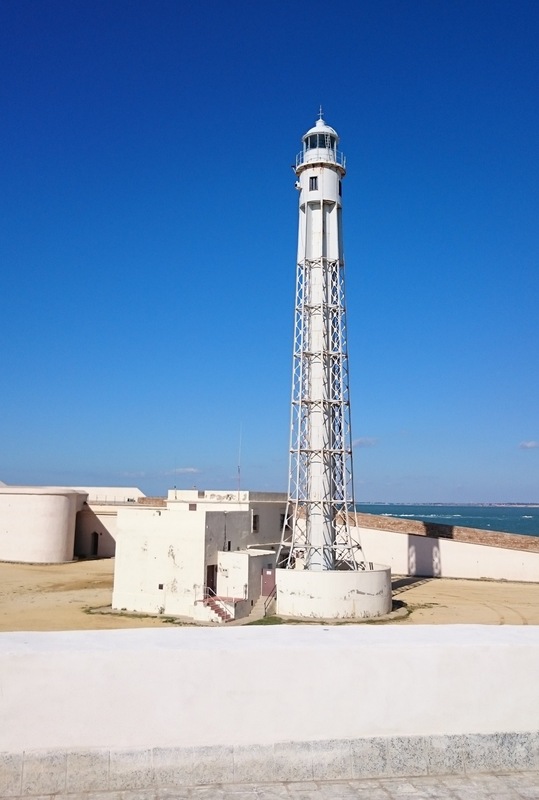 It has previously been a lighthouse and a prison. 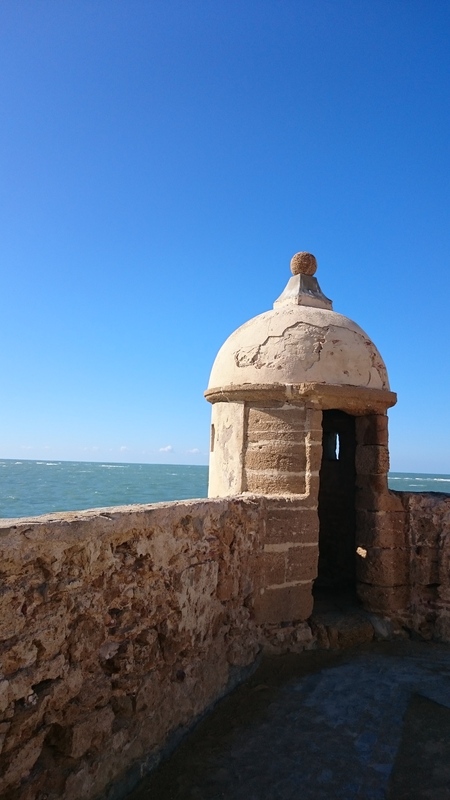 Entry is again free and it is possible to circle the fortress on the inside with amazing views looking out over the Atlantic and back to the town of Cádiz and its beaches. 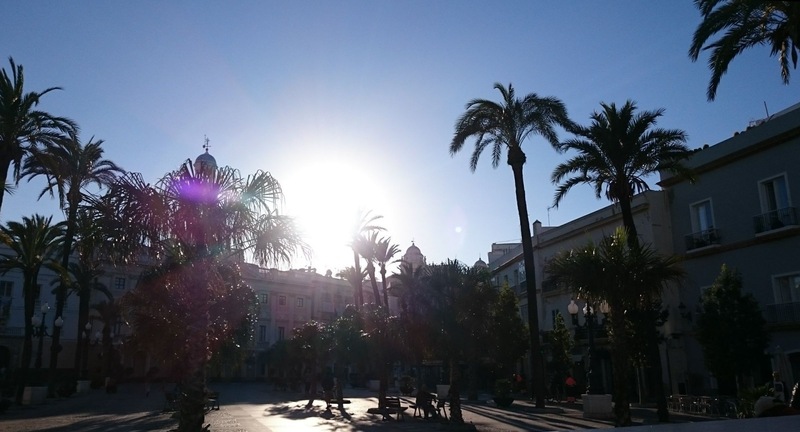 The Cathedral of Cádiz has a beautiful exterior that is best viewed from behind on the promenade at Avenida Campo del Sur especially as the sun is setting. The €5 entrance fee is not merited based on my experience – a plain, empty space falling into disrepair with no real information unless you pay extra for the audio guide. 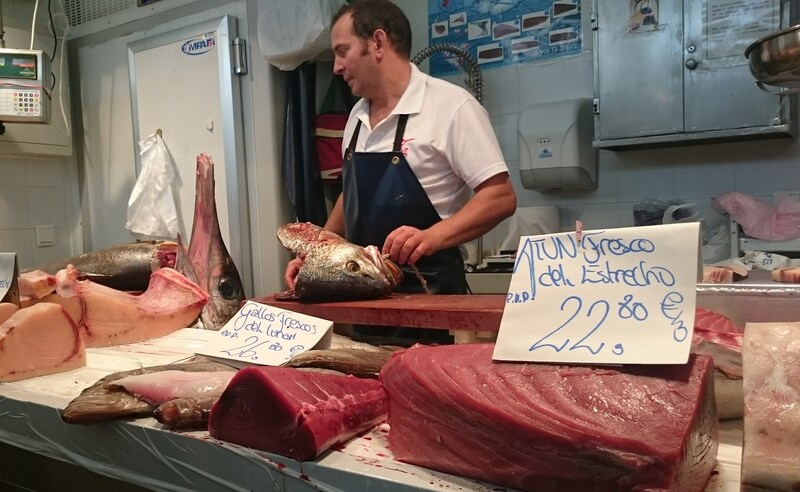 Morning in the Mercado Central is a great place to see the locals of Cádiz – fresh fish abound and the market stalls are a spectacle in themselves. 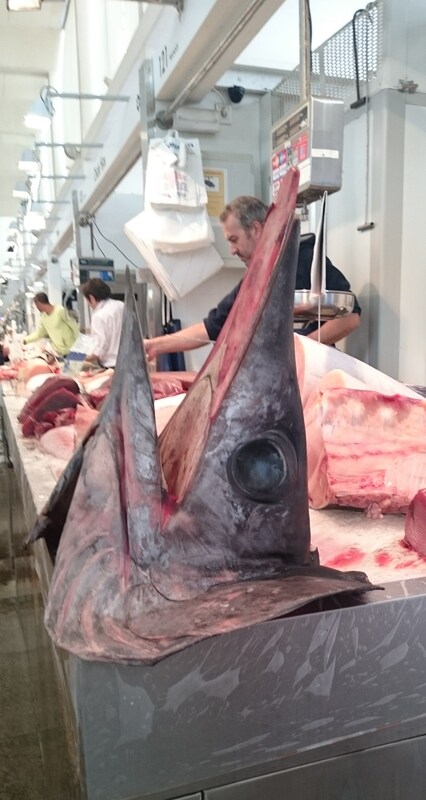 I saw shark heads, a huge tuna being filleted and witnessed the teasing banter between stallholders. 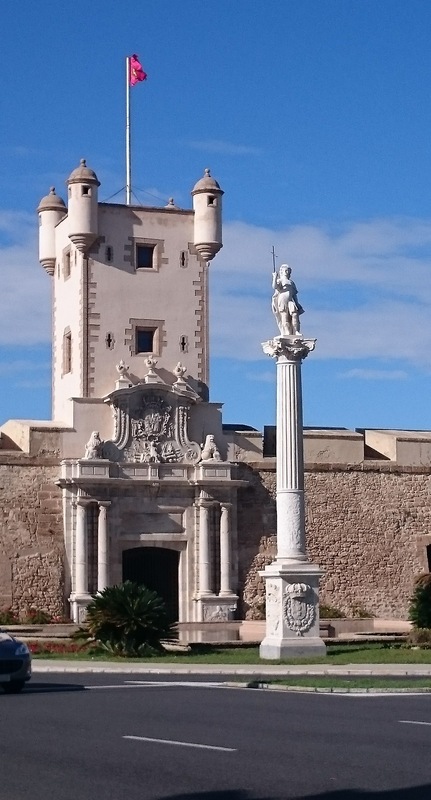 Just past the train/bus station you can find the restored city walls (Murallas de Cádiz) and one of the main gates into the city (Puerta de Tierra). 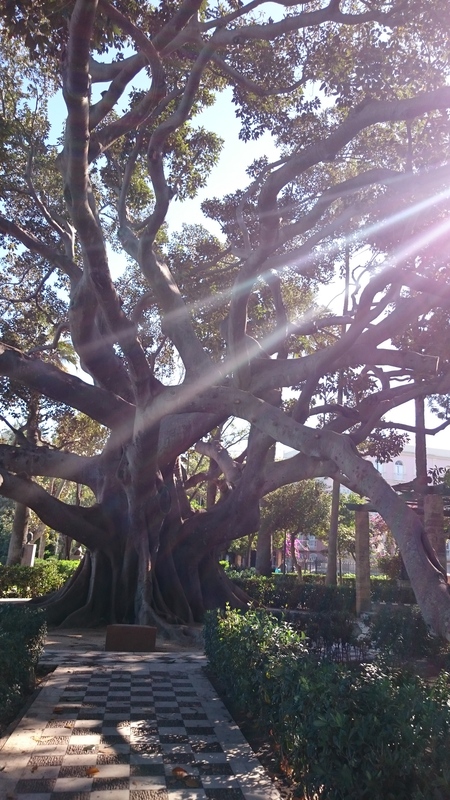 Parque Genovés is a pretty park with fountains, benches and a playground. The Iglesia de San Lorenzo Mártir has an impressive altarpiece and several interesting side chapels. 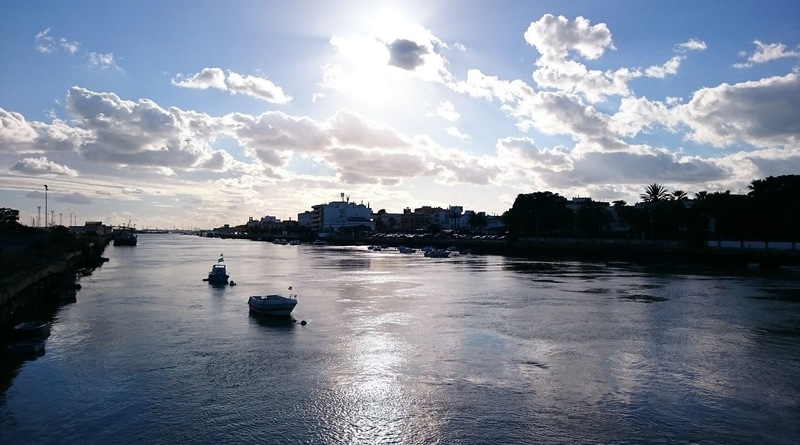 The Torre Tavira offers great views of the city. 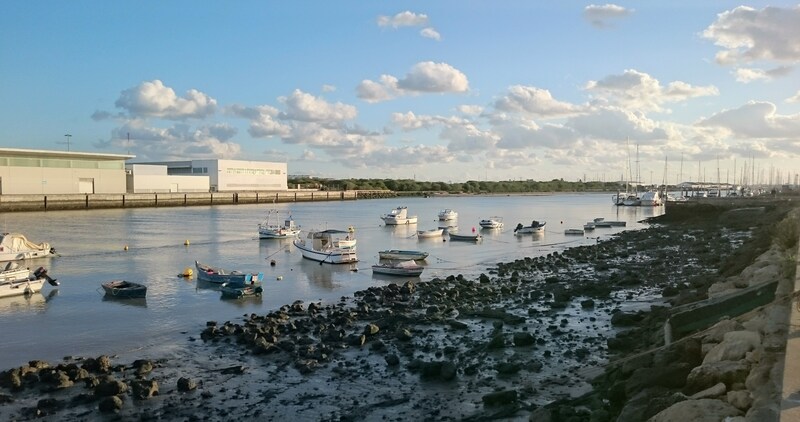 Further afield: There are several charming towns around Cádiz, all accessible by train. 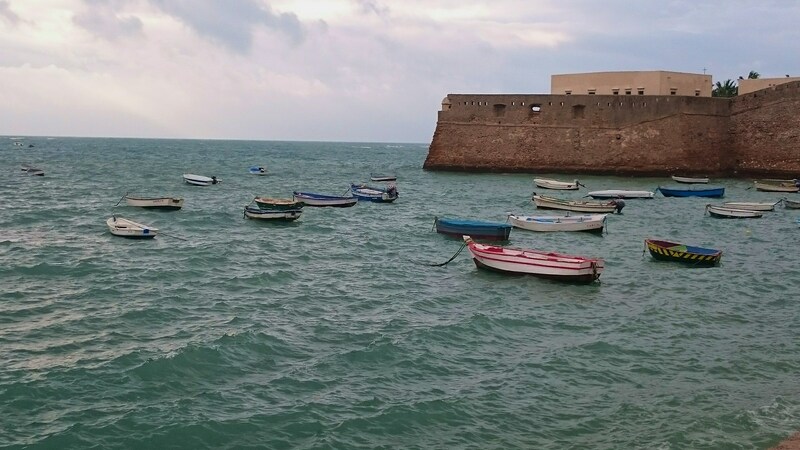 I visited El Puerto de Santa María across the bay from Cádiz. This is a beautiful town with a few monuments to visit but that is most famous for its sherry production. 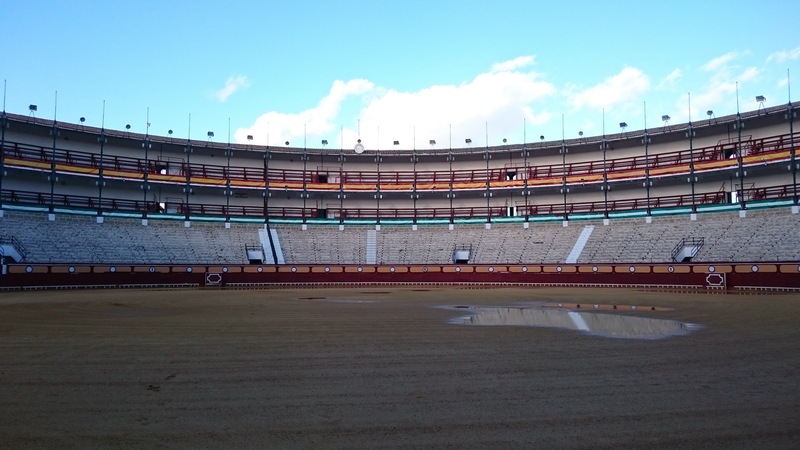 I found the Castillo de San Marcos and the Real Plaza de Toros bullring and had a wander through the enchanting streets and along the riverfront. There is also a municipal museum, a monument to Christopher Columbus and several churches. 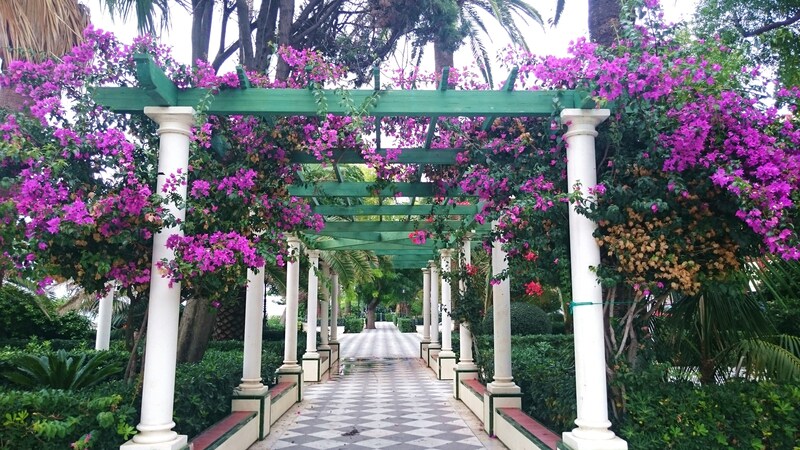 Other towns close by are Jerez, Arcos de la Frontera and Tarifa. Seville is less than two hours away. Where to stay: It has to be Casa Caracol – one of the best, most welcoming, fun hostels I’ve ever stayed in! Coffee: There are loads of atmospheric cafés in the old town especially in the shopping streets around the market. It is great to see locals, expats and tourists conversing while sipping a café con leche. My favourite café is La Clandestina on Calle de José del Toro – it is a bookshop/café/awesome space with good coffee, free wifi and comfy chairs. What to drink: Manzanilla, a dry white sherry, is produced locally in the Cádiz province – try it at Taberna La Manzanilla or in any bar. 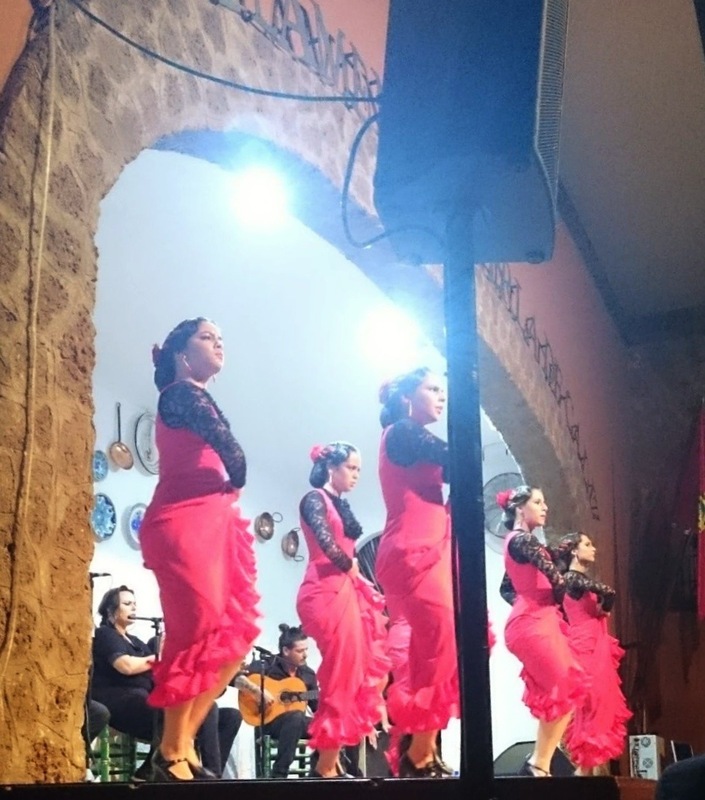 Nightlife: There are quite a few students in Cádiz so bars and clubs have sprung up to cater to them despite the generally sedate pace of living of the locals. I loved salsa night at Sagasta Uno bar. Get there at 10 pm on Thursdays for a quick class before letting go and getting your dance on. 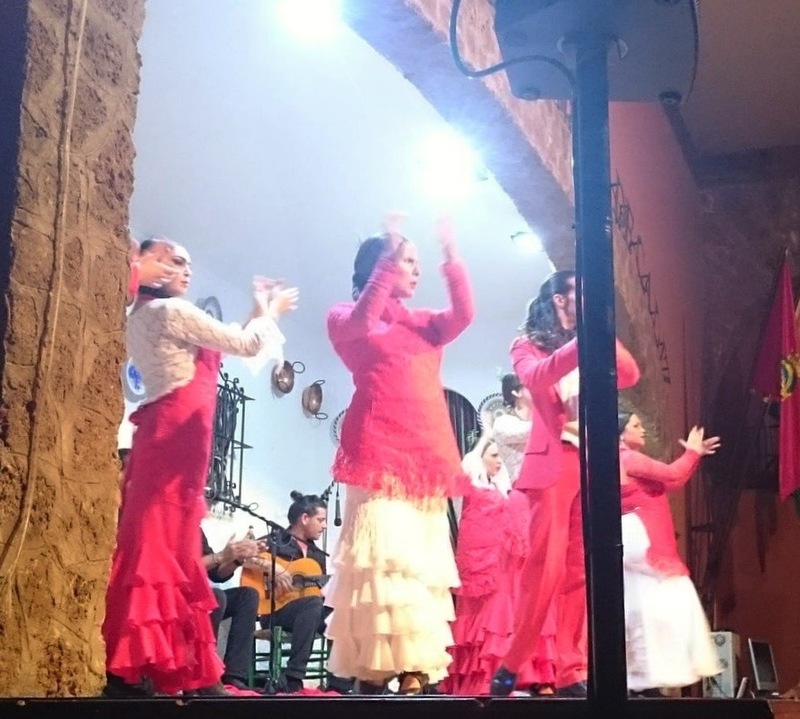 Unmissable is flamenco at Peña Flamenco La Perla de Cádiz. 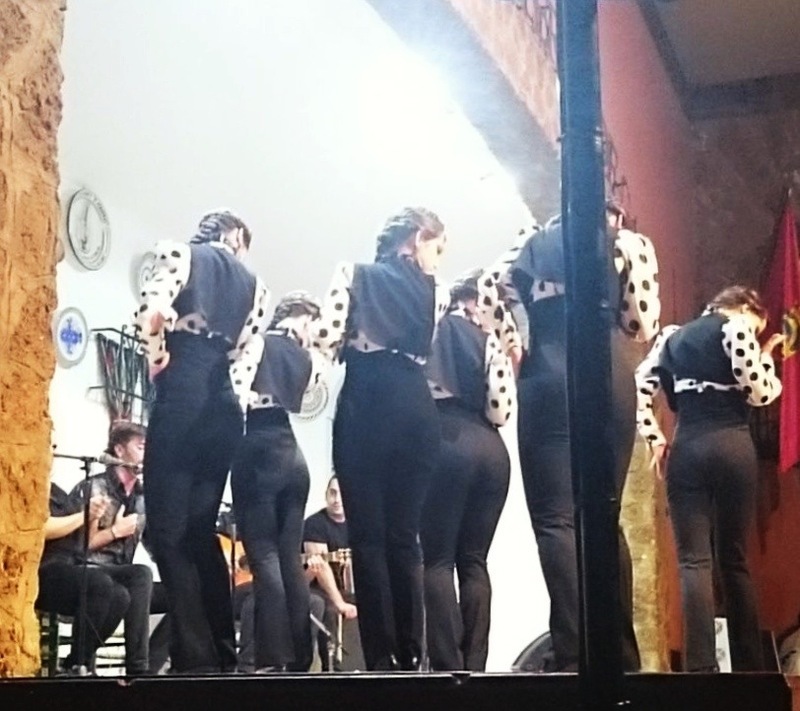 I was lucky enough to see a competition with three local groups – their passion was incredible! Flamenco is held most Fridays at 10 pm. 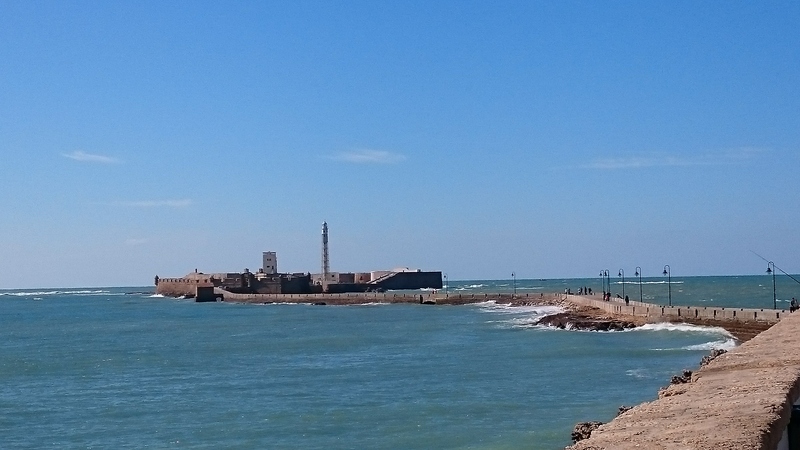 Getting there: Cádiz is on a peninsula so is only accessible from the east. There are regular trains from Seville.